Smoke ‘N Water in British Columbia, Canada will join the growing list of restaurants making its way onto the no-tipping list. As one of the largest minimum-wage-driven industries, the topic has garnered much attention in conjunction with talk regarding living wages, and the potential for a federal increase in the minimum wage. Let’s take a look at how different establishments are approaching the concept and what diners and members of the industry can expect. 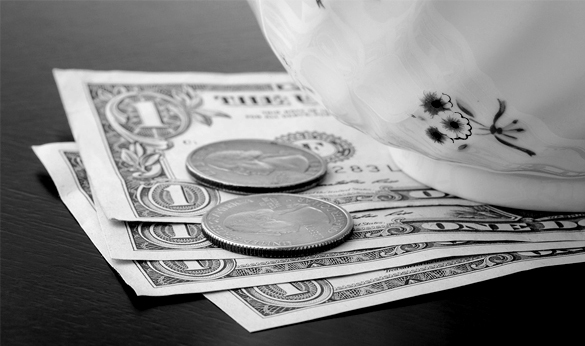 The act of tipping originated in Europe as a means to encourage exceptional service. It wasn’t until after the Civil War that the practice made it to the United States. In the 1800’s, it was likely the practice was more a form of expressing one’s wealth or worldly knowledge than to guarantee great service, explains Michael Lynn, professor of consumer behavior and marketing at the Cornell University School of Hotel Administration. Over the years, tipping has evolved tremendously. Very few establishments in Europe abide by the 10-20% tipping rule and may even consider anything over 10% excessive. While it may have originated there, the United States is taking the spotlight in today’s tipping controversy. Let’s begin with what many consider the traditional form of tipping. In the majority of restaurants, this is managed through the discretion of the consumer and provided to the employee in the form of a percentage of the total bill. It’s customary to offer 10-20 percent. Today, this form of tipping is viewed as almost involuntary or at least expected from the waiter’s perspective. Some patrons look at it as a means to offer a reward or reprimand while others just view it as another line on the final bill. When tipping remember that employees with the potential to earn tips are in most cases only receiving a $2.13 minimum wage and are therefore reliant on the tips they receive. To view your state’s tipping and wage laws, visit the Department of Labor site. Recently, restaurant owners and members of the foodservice industry have been rethinking the roles of their employees and the fairness of federal and state wage laws. Instead of relying on uncertain tips, these employers are opting to pay higher wages to their employees and remove both the uncertainty of tipping amounts and the expectation on the patron to provide for the employee’s livelihood. Though the new practice has been met with mixed reviews, the common theme amongst critics is that of passion. These employers are combatting just that. Taking the wage decisions out of the patron’s hands and making the decisions on their own, they’re removing the responsibility entirely from the patron’s radar. Fan or not, the trend appears to be taking hold, and even big names like David Chang and Danny Meyer are considering the switch. Some restaurants have created a hybrid of the two tipping systems in the form of a service charge. For restaurants with this kind of “tipping” expect a pre-established fee attached to your bill in the form of a restaurant-established percentage. For example, at Atera in New York City, each bill includes a 20% service charge as a mandatory portion of the bill. In other words, restaurant owners can’t make a tip mandatory but they can certainly implement a policy that requires patrons to pay a service fee. While new to the United States, this is quite common in Mediterranean countries. Interested in reading more about recent restaurant trends? To learn more about popular industry trends, browse our News & Trends section or check out this recent article: Chefs Trade Formal Environment for Fast Casual Fare.